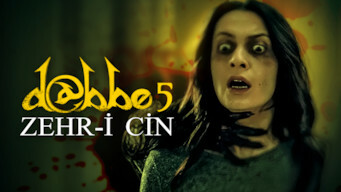 How to watch Dabbe 5: Curse of the Jinn (2014) on Netflix Netherlands! Yes, Dabbe 5: Curse of the Jinn is now available on Dutch Netflix. It arrived for online streaming on April 13, 2019. We'll keep checking Netflix Netherlands for Dabbe 5: Curse of the Jinn, and this page will be updated with any changes. When Dilek becomes haunted by evil spirits and loses control of her body, she seeks the help of a woman with dark secrets to cure her. Visions of evil plague her mind. But when her fear turns violent, can black magic help lift the curse?